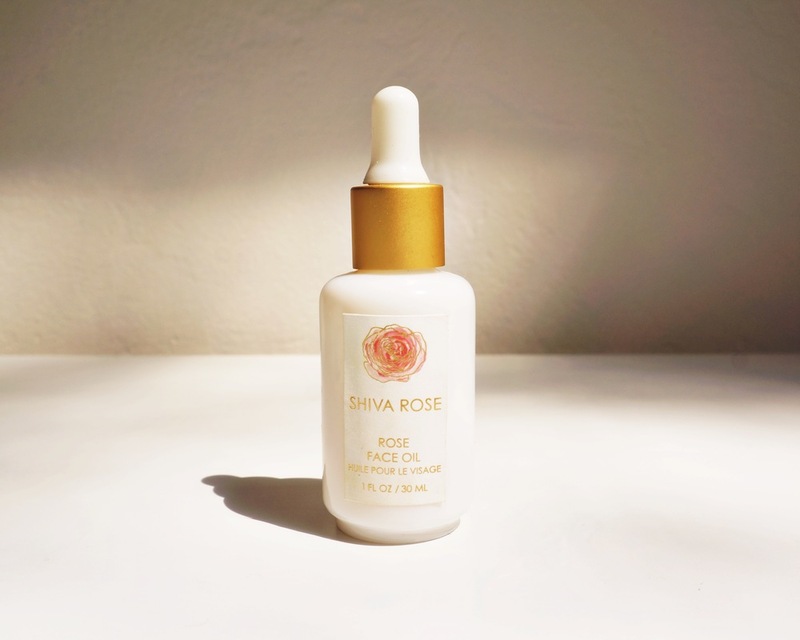 "The Shiva Rose beauty line came to me as a download in a Kundalini Yoga meditation. I was already making my own skin care from oils for myself and got the vision to make it for others. I realized that many people were eating healthy, but still smothering their skin (our largest organ) with toxic chemicals. I wanted to bring light and beauty to the skin care market that carried the high vibrational teachings of my practice." Gentle, gentle, gentle. Peace, peace, peace. As I continue my much gentler journey towards vibrant health I've become even more deeply aware + conscious of surrounding myself with gentle + peaceful souls, foods, products, + practices. Which has led me to Shiva and her radiant beauty line. She was with us earlier in the week to share her inspiring wisdom on deeper, authentic living and today we have the pleasure of talking a bit more about her Shiva Rose Line. I have been using her products for a few months now and am simply in LOVE. There is a purity that permeates through every formula and the ingredient list is divine. Skin care routines, for me, have never been a time to rush, however there is something about this line that has deepened my love for the RITUAL of beauty care and just how essential it is in our daily lives. The act of ritual adds richness, rhythm, depth, + clarity to our lives. It offers + allows us a time to slow down, to be completely present, to reflect, + to strengthen our self love. How we begin our morning sets the tone for our day, while how we end our evening sets us up for restful, healing sleep. Deep in my healing path and quest for only gentle treatments across the board, Shiva's line fits perfectly into my AM + PM practices. If you have been following Shiva along her journey + through her site The Local Rose, you would know that her transition into organic, non-toxic beauty feels like a perfectly fluid progression. RADIANT ROSEWATER :: Since moving to CA, and especially Topanga recently, my skin has been drier than ever. The Radiant Rosewater has become the first layer in my quenching skin routine after cleansing. It is dew, glow, + hydration in a bottle. And in full disclosure I've actually been using this rosewater on my entire body as prep for my slathering of shea butter, but mostly for the scent, which very much needs to become a perfume. The ingredient list is simply next level skin nourishment :: Rose Hydrosol, Witch Hazel, Aloe Leaf, Camellia Oil, Algae Extract, Rose Essential Oil, Rose Geranium Oil, Jasmine, Kelp, Spirulina, Comfrey, + Vitamin C.
ROSE FACE OIL :: the next step in my skin food ritual. A beautiful blend of organic Jojoba Oil, Rosehip Seed Oil, Kukui Nut Oil, Argan Oil, Camelina Oil, essential Persian Rose Oil, Sea Buckthorn Oil, and Vitamin E Oil that deeply revitalize + nourish the skin. This oil helps my skin maintain moisture throughout the day, which is a huge feat under this intense year round LA sunshine. BLUE CRYSTAL EYE CREAM :: Eye creams for me have always been a mixed bag...ranging from too greasy, to not hydrating enough, to simply ineffective. There is something magical about this formulation. It feels satisfyingly firming, while still providing moisture + nourishment. I feel more awake after I apply it. And like all of Shiva's products, there is something intoxicating about the scent. "Gentle, moisture, rich cream combines powerful azulene of blue tansy, with hydrating plumping wonders of hyaluronic acid, healing calendula, anti-aging evening primrose, soothing aloe for puffiness. This blue wonder contains calming blue chamomile, rooibos, lavender, pomegranate for nourishment to the delicate areas around eyes. Sacred sandalwood creating new cells, diminishing lines and opening the third eye. Activated by azurite crystals." SEA SIREN BODY SCRUB :: this sums up my obsession with this body scrub :: I went through the jar in one week!!!! At first I was drawn to the uplifting lemongrass scent which literally shifts your mood in an instant and then I fell in love with how my skin felt after treatment :: exfoliated, soft, and deeply, deeply moisturized from an off-the-charts brilliant blend of wild harvested Blue-Algae and nourishing butters + oils including Shea Butter, Cocoa Butter, Kokum Butter, Mango Butter, Sweet Almond Oil, Avocado Oil, Grapeseed Oil, Apricot Seed Oil, Coconut Oil, Evening Primrose Oil, Rosehip Seed Oil, Neem Seed Oil, + Vitamin E.
***And be on the look out for her PEARL MILK CLEANSER launching this week, packed with one of my absolutely all time favorite ingredients :: "a gentle yet nourishing cleanser that won’t strip your face. Adding oils back to your skin during cleansing is the ultimate way to feed nutrients to the face. The combination of organic coconut oil, calendula, avocado oil, grapeseed oil, and witch hazel mixed with pearl powder & hyaluronic acid make this a luminizing elixir for the skin. Hyaluronic acid, which is naturally found in the body, will add plumpness back to the face and the pearl powder will gently take away impurities while adding beautifying minerals. Black willow bark helps clears pores as a natural exfoliant. The use of the essential oil blend will benefit the skin by helping cells regenerate, aiding with elasticity, and uplifting the spirit and soul."